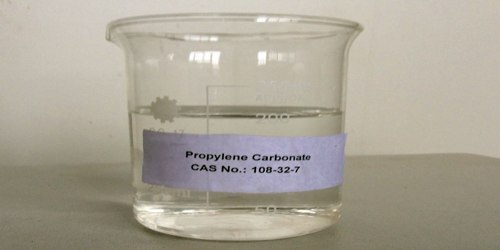 Propylene carbonate is a clear, odorless solvent with a high boiling point. It is an organic compound with the formula CH3C2H3O2CO. In cosmetics and personal care products, Propylene Carbonate is used in the formulation of makeup, primarily lipstick, eye shadow, and mascara, as well as in skin cleansing products. It can be synthesized from propylene oxide and CO2. 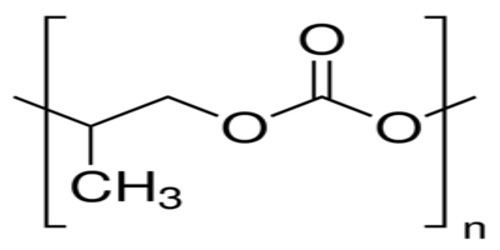 Optically active form of propylene carbonate can be prepared from the reaction between CO2 and racemic epoxides. Decomposition of propylene carbonate on the graphite electrode in lithium batteries results in the formation of a lithium intercalated compound. The process is particularly attractive since the production of these epoxides consumes carbon dioxide. Thus this reaction is a good example of a green process. The corresponding reaction of 1,2-propanediol with phosgene is complex, yielding not only propylene carbonate but also oligomeric products. 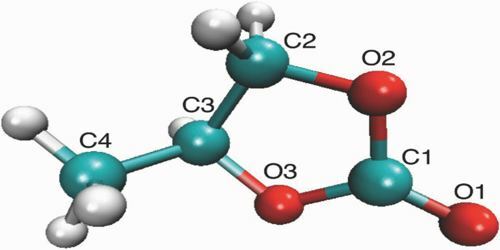 Propylene carbonate product may be converted to other carbonate esters by transesterification as well. In electrospray ionization mass spectrometry, propylene carbonate is doped into low surface tension solutions to increase analyte charging. Propylene Carbonate is used on its own and in a variety of end-use cleaning and degreasing formulations due to its versatility, effectiveness in reducing surface tension, and ability to improve wetting and soil removal functionality. Formulators also incorporate propylene carbonate into water rinsable solvent systems. It is commonly used in processes and formulations to minimize toxicity and volatility concerns. It is currently listed in the Solvent category on the EPA Safer Chemicals Ingredients List for use in DfE labeled products (Indicated by the Green Circle, meaning the chemical has been verified to be of low concern based on experimental and modeled data). 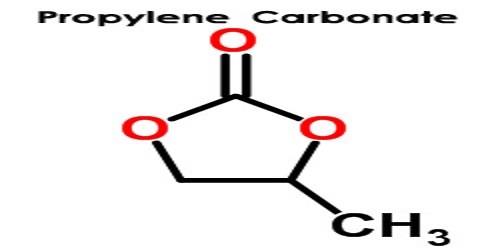 Propylene carbonate can also be found in some adhesives, paint strippers, and in cosmetics. It is also used as plasticizer. Propylene carbonate is also used as a solvent for removal of CO2 from natural gas and synthesis gas where H2S is not also present. This use was developed by El Paso Natural Gas Company and Fluor Corporation in the 1950s.